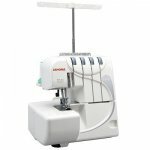 Phil Morton Sewing Machines is a family run company based in Macclesfield and can supply, repair and service most makes of Sewing Machines. 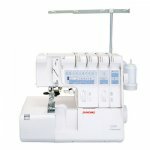 In our online shop you will find a selection of machines that cover a range of uses from the occasional domestic sewer right through to professional grade machines, quilting machines and overlockers. From time to time we will also include domestic machines that have been re-furbished in our shop. You can choose to have the machine delivered direct to you or you can choose to pick it up from the shop. 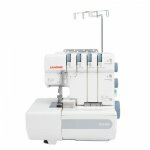 If you have any query or need any advice before you buy - please feel free to call Phil Morton on 01625 433131, you can also email us at, sales@philmortonsewingmachines.co.uk or you can call in at the shop which is at 84-86 Mill Lane Macclesfield, SK11 7NR.